"TOWARDS SUSTAINABLE MANAGEMENT OF GROUNDWATER RESOURCES"
Participants intending to present a paper are invited to send abstracts ‐ in English ‐ of up to 500 words to the Conference Secretariat by 31th December 2018. Accepted abstracts will be published in a Book of abstracts. Authors of selected abstracts will be invited to submit full papers to be printed in main geological journals in Serbia. 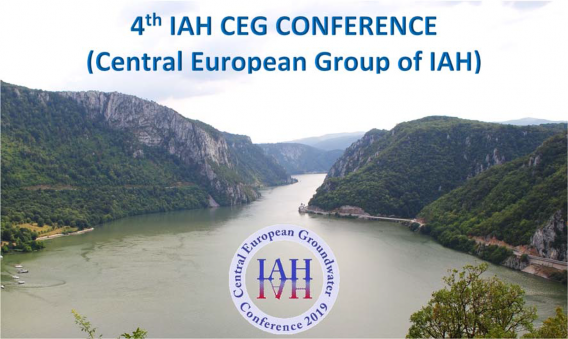 Geo Trip through Carpathian karst of Serbia & Romania will be organized by the Karst Commission of IAH in the period 14‐18.06.2019. The programme of Geo trip is flexible, participants of CEG are very welcome and may join part in Romania (14‐17.06) or only in Serbia (18.06). Separate leaflet is prepared and distributed to the same number of potential participants. Hotel Lepenski Vir (Donji Milanovac) ‐ approximately 30 ‐ 35 € per person per night (half board – breakfast / dinner). The Conference will be held in Hotel Lepenski Vir, Donji Milanovac, Serbia and in Visitor Centre of National Park Djerdap in Donji Milanovac. Registration will be available via NK IAH Secretary mail. All important information will be posted at Conference website www.karst/edu.rs/CEG. At registration desk. Payments in cash. Registration fee includes: admittance to all sessions, Book of abstracts, refreshments, conference banquet and boat trip with catering, tickets.